Data in bracket [ ] is the deviation from mean (%) / climatological mean rainfall for that period. 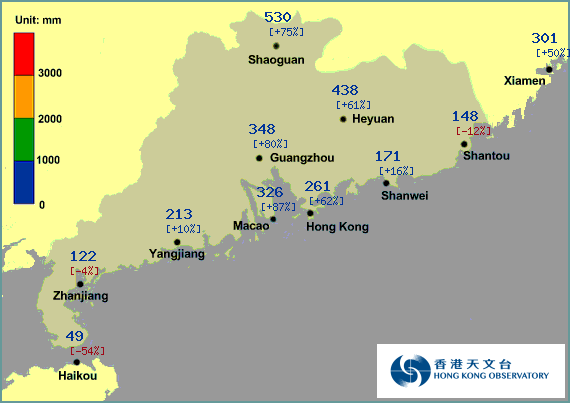 Total rainfall is calculated from data available to Hong Kong Observatory. Tr means rainfall was less than 1 mm, NA means rainfall data was not available.